The Mrs. Doubtfire sequel is now in doubt after Robin Williams was found dead at his Californian home in an apparent suicide. Robin Williams, 63, suffered from a severe depression, according to recent reports. 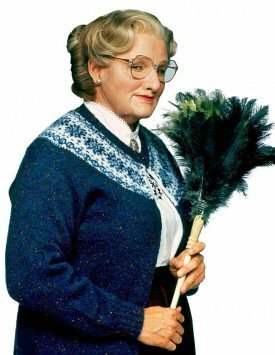 Earlier this year Robin Williams had been meeting with screenwriter David Berenbaum about the sequel to his hit 1993 comedy – in which he played a man who masqueraded as an older female nanny in a bid to get close to his kids – and a second draft was reportedly underway. Meanwhile, the project’s director Christopher Columbus hailed Robin Williams as a “genius” who he loved working with. He said in a statement: “We have lost one of our most inspired and gifted comic minds, as well as one of this generation’s greatest actors. To watch Robin work, was a magical and special privilege. “His performances were unlike anything any of us had ever seen, they came from some spiritual and otherworldly place. He truly was one of the few people who deserved the title of <<genius>>. Robin Williams had completed four other films before his death, however. Over the Christmas period, Robin Williams can be seen again as Teddy Roosevelt in Night of the Museum: Secret of the Tomb, which finished production in May and will be released on December 19. Robin Williams shot comedy Merry Friggin’ Christmas with Wendi McLendon-Covey, Lauren Graham and Oliver Platt and the Joe and Anthony Russo-directed picture will be in cinemas on November 7.